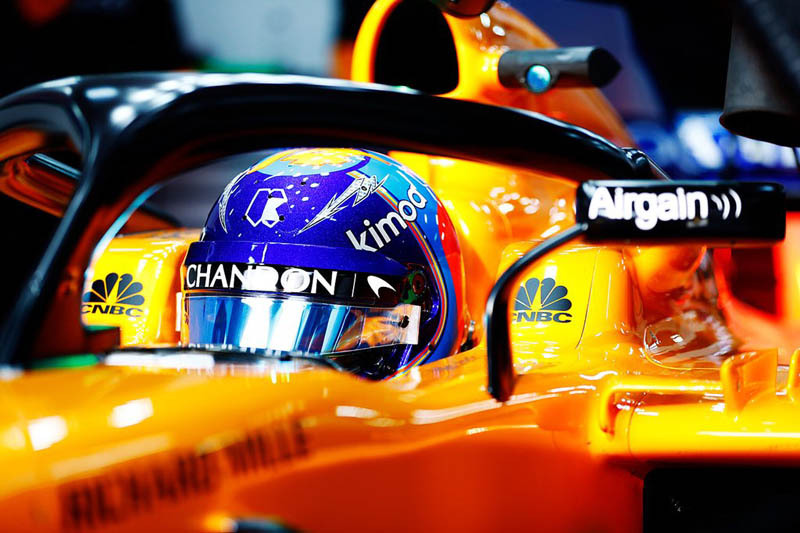 Within minutes of Fernando Alonso spinning off into the gravel at the final corner in Barcelona, shedding his right rear wheel in the process, the media kicked into action. While there had clearly been some sort of failure, and a couple of sharp-eyed photographers captured images of the Spaniard clutching the offending wheel retainer, he hadn't actually hit anything, which made the various headlines relating to his "crash" seem a bit odd and needless. At the end of a session which saw him finish fifth on the timesheets having completed 51 laps - though this time was subsequently deleted after he was adjudged to have missed the chicane - the Spaniard was clearly miffed at the media attention given over to his off, suggesting that there were better stories to be found along the pitlane. Asked what he thought in the moments after the spin, he smiled and replied: "That it was a good day for you guys! "I thought exactly that because this is a very, very small problem," he continued, "but very graphic, very obvious. "A car in the gravel makes a big thing," he laughed, "but there is six teams in the garage with the door closed, with the car in pieces, but there is no picture of that. "So there are a lot of teams in trouble, big trouble, and for us with a wheel nut it will make the thing of the day. So I thought about all of you!" Insisting that the team's programme meant he was never likely to do much running in the morning, he continued: "I'm the one that did most laps in the afternoon, others had a little bit too many issues. "It's a very good start," he continued. "So far, so good. Obviously very early days but the car was running fine, the engine was running fine. I know a lot of people from Renault from my past, so eighty percent of the guys in the garage, I know them. I know how hard they work and how much attention they pay to driveability, to performance of the engine, so every nice was a good chat with them, both at the filming day and also here. "Everything is running very smooth, there are a few things that we are trying to change and trying to adapt, but so far - on the engine side especially - extremely happy. I think there is a huge potential in the McLaren-Renault team." As for the other teams the Spaniard referred to, the most obvious is Force India which encountered an issue with a brake cooling sensor meaning that Nikita Mazepin only completed 22 laps over the course of the day, all of them in the morning. Check out our Monday gallery from Barcelona, here.